Taco night just got feisty! 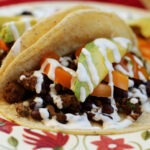 Southwestern flavors are showcased in this easy beef and black bean taco recipe. Topped with tomato, avocado and a Red Chile Buttermilk Ranch Dressing and you’ve got something to taco about. Give these Beef and Black Bean Tacos a try. The ground beef for these unique tacos is flavored with Ancho Chile powder, Chipotle Tabasco Sauce and the usual lineup of Southwestern spices. The black beans are simply tossed with lime juice, salt and pepper and then heated in the microwave. Add some slices of avocado and tomato, a squeeze of lime juice and a drizzle of Red Chile Buttermilk Ranch Dressing and you’ve got a killer Southwestern taco. And, it all comes together for an easy weeknight dinner. Wondering what exactly is Ancho Chile Powder? Ancho powders are dried, ground peppers and should not be confused with chili powder, which is a blend of ground chilies and other spices. Ancho chile powder is made from the sweetest dried chile, and has a moderately spicy but rich flavor. If you can’t find Ancho, use any pure dried chile powder that isn’t a mix. New Mexico Red Chile Powder would be an excellent substitution here. Chipotle chile powder would bring more of a smoky flavor, which would be a wonderful addition. Chipotle brings a little more heat, but you know how much we like to turn up the heat here on The Ranch. 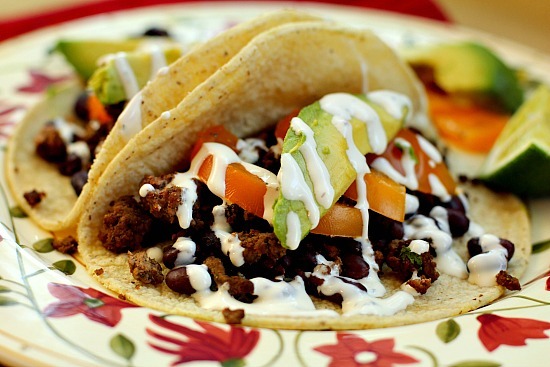 Whatever powder you use, this is a great beef and bean taco filling recipe. 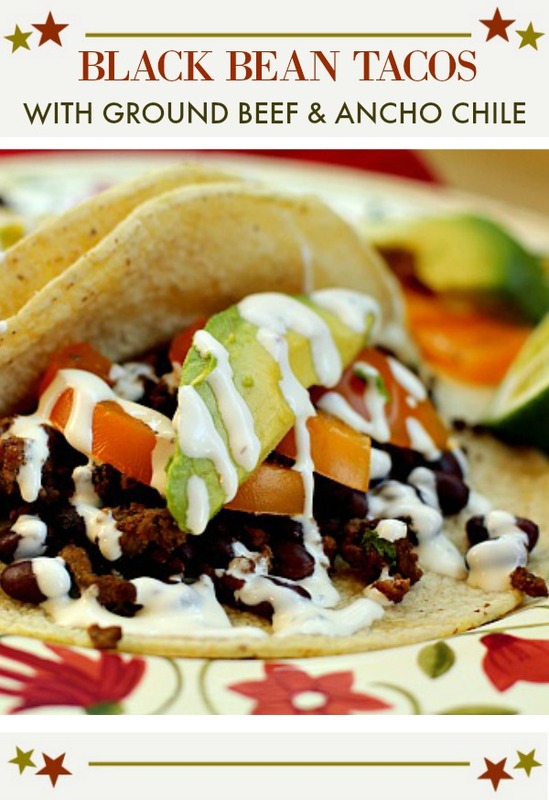 I hope you give this Ground Beef and Black Bean Tacos recipe a try. And if you do, please come back and let me know how you liked it and give the recipe a star rating. Your feedback is valuable to me for developing future recipes. And if you have a favorite ground beef taco, let me know, I’d love to give it a try. Unique ground beef tacos flavored with Ancho Chile Powder and Chipotle Tabasco. Place the ground beef in a hot skillet. With a wooden spoon, break up the beef while cooking. Cook the beef until it's lost it's pink color. Add the rest of the ingredients. Mix well while cooking until flavors are blended and well heated. In the meantime rinse and drain black beans and in a small bowl toss them with lime juice, salt and pepper. Cook them in microwave until hot. Set aside and keep warm. 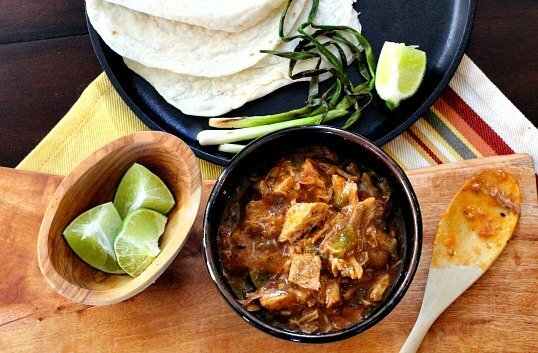 Warm soft corn tortillas by wrapping them in a damp (clean) dish towel. Place them in a large plastic bag but do not seal. Microwave for 3 minutes at 50% power level. Divide ground beef between tortillas, top with black beans, slices of avocado, tomato and drizzle with Red Chile Buttermilk Ranch Dressing. Fun recipes. I’ve never seen or tried these dressings before. I’ll have to look for them next time I am at WF. I liked them all Karen, but really liked the plain ranch. So neat that you were asked to test out a local product and even better that you liked it – I’m sure we would like the kicked up version as well. Both of your recipes sound delicious. I told them if I didn’t like the dressings, I wouldn’t write about them. They were really good. Thanks Larry. I haven’t seen these dressings before but if they’re in WF now, I’ll be on the lookout for them. I usually make my own dressings but it’s so nice to have some ready in the fridge but I find the majority of natural/organic dressings taste nasty! They got your approval so I’m going to go look for them! I’m with you, usually make my own, but every once in a while grab one off the shelf. These are good Nazneen. Both recipes sound delicious. We love using chipotle and I didn’t realize there was a chipotle Tabasco sauce. How fun that you were ask to test local products. I really like the chipotle Tabasco. I’ve had it in the fridge for a couple of months. Grabbed it as soon as I saw it. This is the first time I’ve used it. Let me know how you like them Jess. And thanks for stopping by. Love to hear from new visitors. Your tacos look really delicious! The Cosmos dressing sound wonderful. I’ll have to see if our WF store carries them. We really liked the dressings. Thanks Susan. I love tacos and this one looks and sounds fantastic. The mac & cheese looks cheesy and flavorful. That mac and cheese is a great recipe. Your title totally cracked me up – thanks for the smile.. and the slight choke on my water! Also these tacos are AWESOME. I love the black beans with lime juice. And Modelo in the Mac has got my attention. Lots to see and taste here – wonderful post! I just tried Chipotle Tabasco sauce a couple of weeks ago. Wow, is that good! And these beef and black bean tacos? My mom never made them either! But I will — thanks. Everything looks delicious, Lea Ann. I haven’t seen Cosmo’s brand here but I will double check the next time I’m at Whole Foods. 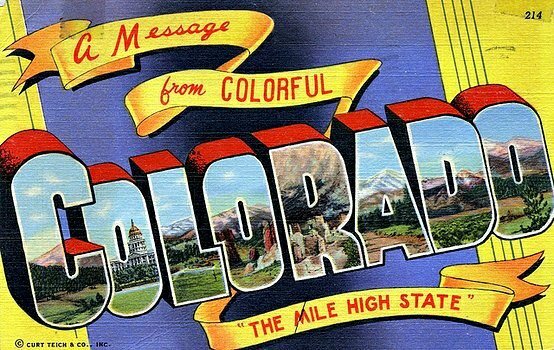 My son went to college in Boulder and we used to love all the specialty products we found there. Two great dishes Lea Ann. I will check it out next time I am at Whole Foods. Condiments can make all of the difference. I am loving your photography! Definitely feelin’ this! Never have seen these , but now I must look and hope! Ranch dressing is my favorite! I can literally drink it. Love the spices in these tacos. Perfect compliment to some cool and creamy ranch! Thanks so much Christin. Love new visitors. Heading over to your place to look around. Haven’t seen this brand before, I should look closely. Lovely tacos. These tacos look tasty! Love the idea of ranch on them!!! I will be checking out these dressings soon. These tacos look amazing!